I'm a huge fan of fruit I like eating fruit and especially smelling fruit! 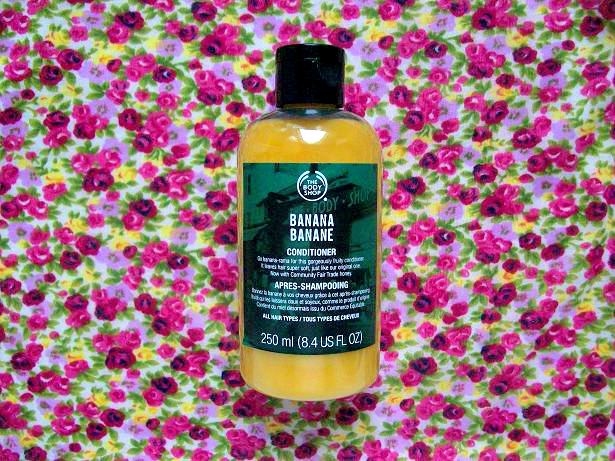 So when I heard that The Body Shop had a shampoo and conditioner that smelled of bananas I kind of went BANANAS! 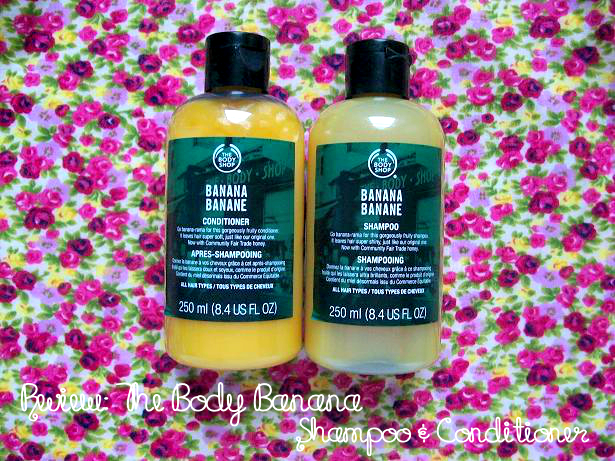 Apparently, both of these products are remakes of an original banana line that was sold at The Body Shop a few years ago but they recently reformulated the product and started selling it again. I've heard many positive reviews on both of these products so I decided to pick both of them up to try. After testing out both the shampoo and conditioner for about a month there were a few things I liked but also some things that I didn't like. Keep in mind if you do not like the smell of bananas then I wouldn't recommend either one of these products to you because these hair products are mainly popular because of the fresh banana scent. - Makes my hair look shiney! Would I recommend this to someone? No. Aside from the banana smell there isn't anything special about this shampoo which is sad for me because I had really high hopes for this product. 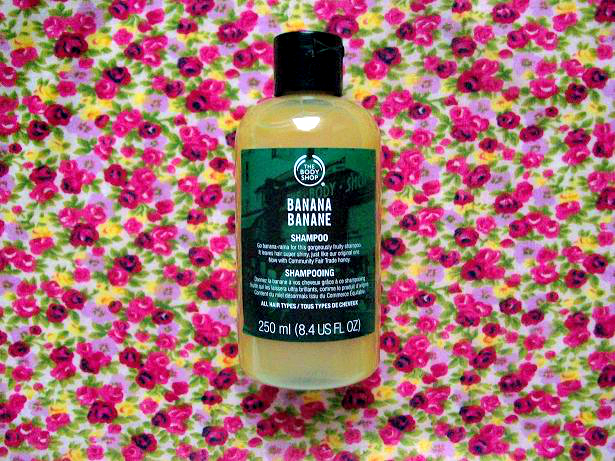 You can buy the banana shampoo here. Would I recommend this to someone? Yes. I didn't like the shampoo but I loved the conditioner! It moisturized my hair and made it feel really soft. However, I found myself quickly using a bunch of this product (and I don't have the longest of hair) for every dollop of shampoo that I used I had to double in conditioner. So if you had to get one of the two banana products I would totally recommend the conditioner. You can buy the banana conditioner here. 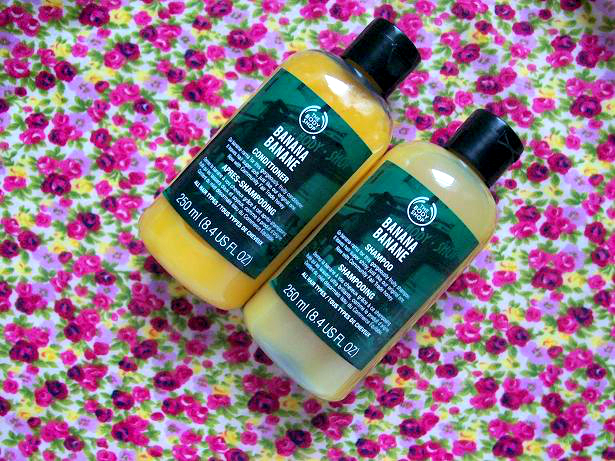 Have you tried either one of the banana products from The Body Shop?